Rooted in the realities of local communities, representing locally-devised solutions. 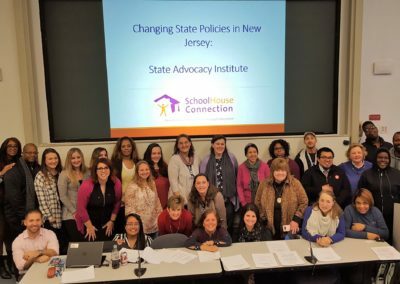 SchoolHouse Connection engages in state policy advocacy in partnership with local child and youth advocates, McKinney-Vento liaisons and State Coordinators, homeless service providers, colleges and universities, and civic organizations. 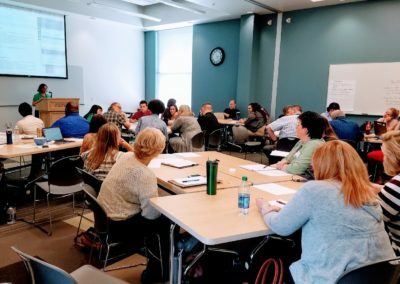 Most importantly, young people with lived experience of homelessness are partners every step of the way, from prioritizing bill topics and drafting language, through the legislative advocacy process. Study the prevalence of homelessness, housing insecurity, and food insecurity among students at Indiana colleges and universities. Provide suggestions for eliminating those issues. Report the results to the governor and legislature by July, 2020. Require institutions of higher education to designate a Liaison for students experiencing homelessness. Require institutions of higher education to prioritize students experiencing homelessness for access to existing on-campus housing, develop a plan to provide students experiencing homelessness with housing during school breaks, and allow students experiencing homelessness who are enrolled part-time to access on-campus housing during their first year of school. Expand the tuition waiver for state postsecondary educational institutions to include students experiencing homelessness. *Heard by the Joint Standing Committee on Education and Cultural Affairs on April 17, 2019. Designate a Homeless Student Liaison, who will assist students experiencing homelessness in applying for and receiving financial aid and available services. Give students experiencing homelessness priority access to on-campus housing, including housing that remains open the most days of the year. *Passed Senate; Passed House; Sent to Governor. Require existing Higher Education Foster Liaisons to support students experiencing homelessness who were not in foster care. Provide Liaisons with basic professional development. Require institutions of higher education to prioritize students experiencing homelessness for access to existing on-campus housing and to assist them in locating housing during academic breaks. Allow youth age 16 or older to receive outpatient mental health counseling from any qualified mental health professional without parental consent. Improve minors’ ability to consent for medical, mental, dental and other health counseling and services by removing time requirements and allowing minors to prove they are living separately from parents through various means, including a statement from a governmental or nonprofit agency that provides homeless service, a school district liaison, or an attorney representing the minor. Protects health care practitioners from liability for treating minors (except for liability for their own negligent or willful acts). Provide youth who were in foster care at any time after age 13 to receive Medicaid health coverage until age 26. *Passed House Committee on Children and Families and House Rules Committee. Allow and facilitate access to mental health care for unaccompanied homeless youth age 15 and older. Allow and facilitate access to housing, shelter, related services, and medical care for unaccompanied homeless youth age 15 and older. Clarify that being an unaccompanied homeless youth, in and of itself, is not sufficient basis for reporting child abuse or neglect. Allow unaccompanied homeless minors to consent for physical examinations associated with participation in school activities, including extracurricular activities; dental care; optometry care; mental health care; and substance abuse treatment. Allow licensed shelters and providers to serve homeless youth without criminal penalties. Allow homeless youth 15 and older to consent for shelter and services. Revise the definition of “homeless” to be more inclusive, particularly of young people. Facilitate the issuance of tax credit certificates to employers that hire people experiencing homelessness. Ensure that unaccompanied youth experiencing homelessness have access to the state education dispute resolution process. Ensure that unaccompanied youth experiencing homelessness are able to continue attending the school in which the youth seek enrollment during the pendency of disputes. Place the burden of proof in disputes involving a student experiencing homelessness on the school district, removing that burden from the student. Otherwise strengthen the dispute resolution rights found in the McKinney-Vento Act, particularly for unaccompanied youth. Allow unaccompanied youth experiencing homelessness age 16 and older to take the high school equivalency exam without parental consent and at no cost. Require the KY Department of Education to promulgate regulations regarding students experiencing homelessness, including awarding and accepting partial credit, facilitating enrollment in required classes, and providing for diplomas from a prior district or for meeting state minimum requirements for students who change schools in their last two years of high school. Provide students experiencing homelessness with partial credits for partial coursework satisfactorily completed. Require school districts to review and adjust the academic plans of students experiencing homelessness to maximize credit accrual and progress toward graduation. Require school districts to award any diploma students experiencing homelessness have earned if they transfer schools in 11th or 12th grade. * Passed Senate Education Committee. Allow unaccompanied youth experiencing homelessness age 16 and older to apply for a driver’s license, obtain a state ID, and obtain a copy of their birth certificates without parental consent and without a fee. Waive birth certificate fees for children and youth experiencing homelessness. Waive birth certificate fees for homeless parents and unaccompanied homeless youth. Provide unaccompanied homeless youth the right to obtain their own birth certificate without parental consent. *Added as an amendment to HB 1135; Passed House Committee on Children and Families and House Rules Committee. Provide a one-time fee waiver for state ID cards and driver licenses for homeless youth under age 25. Provide birth certificates at no cost to homeless youth, their school district liaisons, and their social workers. Allow unaccompanied youth to obtain statements of birth at no cost for the purpose of admission to school or securing employment. Waive birth certificate fees and photo ID fees for children and youth experiencing homelessness. *HB 465 passed as an amendment to HB 371. It has been signed by the Governor. Require the State Social Services Commission to adopt rules facilitating access to child care for children experiencing homelessness, including but not limited to rules that establish homelessness as a need for care; prioritize children experiencing homelessness on waiting lists; allow parents of children experiencing homelessness to substitute school attendance for work requirements; and limit work requirements to 20 hours per week for parents of children experiencing homelessness. 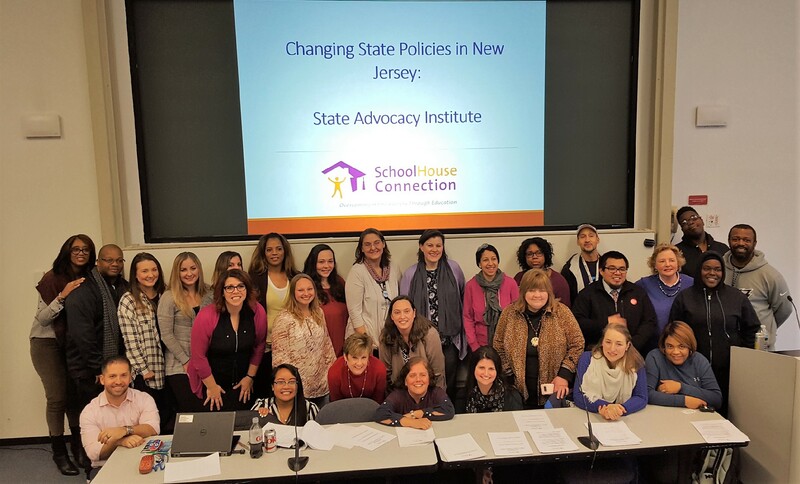 Episode 1 provides an overview of our state advocacy methodology and includes sample policy surveys for young people and advocates, a sample agenda for a State Advocacy Institute, and sample activities to engage stakeholders and young people in policy advocacy. Episode 2 is an advocacy “how-to” guide, sharing tools and skills for state and federal policy advocacy, including a sample policy agenda and sample policy brief. 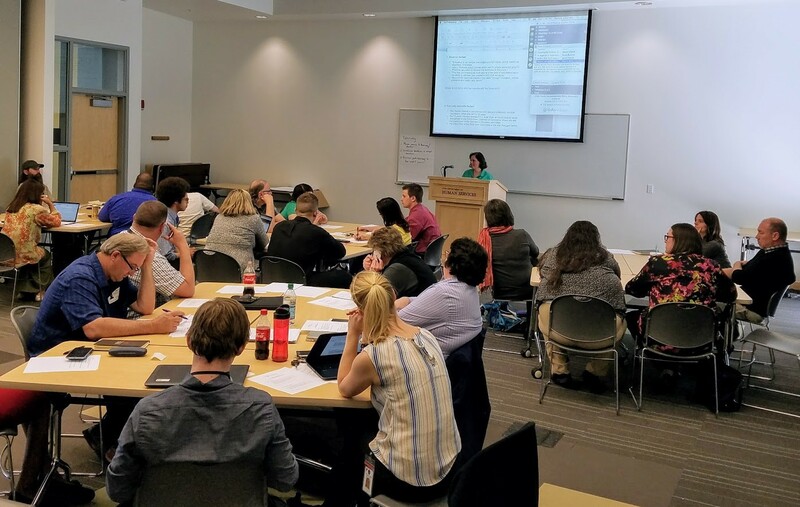 We hope these tools will encourage new advocates to get involved with state and federal policy, and provide seasoned advocates with new resources. Laws supporting students experiencing homelessness in higher education. This document includes states with laws allowing minors, including unaccompanied homeless minors, to consent for routine health care. It does not address state laws that empower minors to consent for substance abuse treatment, mental health care, treatment for contagious diseases or reproductive health. Several state legislatures have recognized that unaccompanied homeless youth under age 18 need legal rights to access housing, shelter and other basic services. 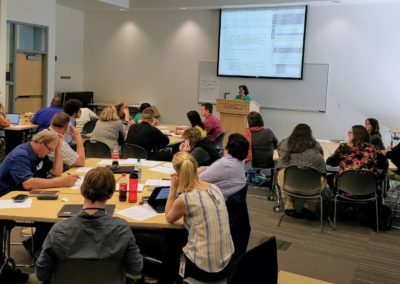 This document summarizes state laws, including recently enacted legislation in Wyoming, and a currently pending bill that SchoolHouse Connection is working on with partners in Arizona. The Every Student Succeeds Act of 2015 (ESSA) places great emphasis on high school graduation for students experiencing homelessness. This document summarizes state laws that complement these federal requirements. State legislatures have been actively supporting college students experiencing homelessness over the past few years. This document provides a summary of existing strong state laws. 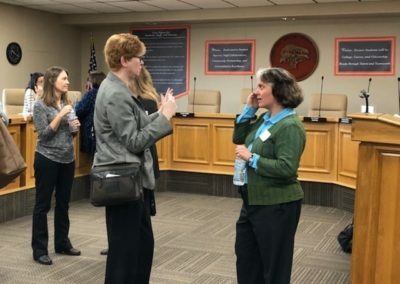 SchoolHouse Connection is working with partners in Texas on a new state law to support the thousands of Texas students striving to complete college without safe, stable housing. The 2019 state legislative season is in full swing, and SchoolHouse Connection is co-leading advocacy on 17 bills in 8 states (IN, KY, ME, MO, NV, TN, TX, UT). 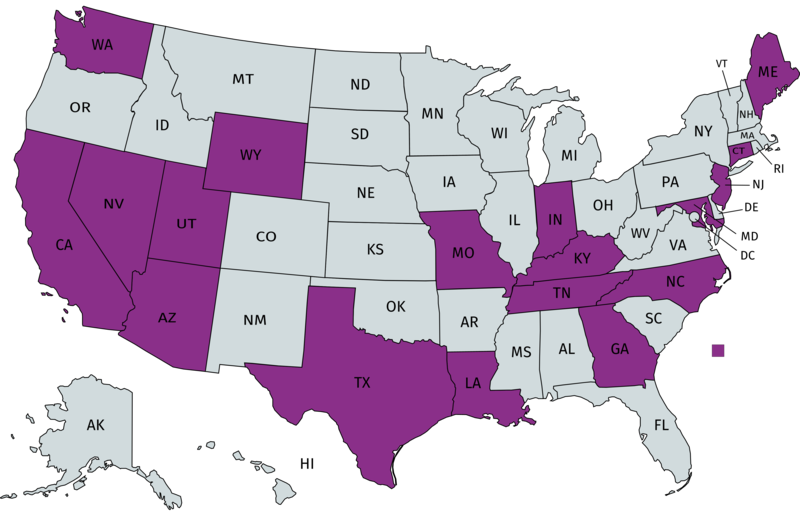 We’re also supporting advocates on policy reforms in five additional states (AZ, CA, GA, MD, WA), and anticipate additional bills to be filed in LA, NJ, and NC. 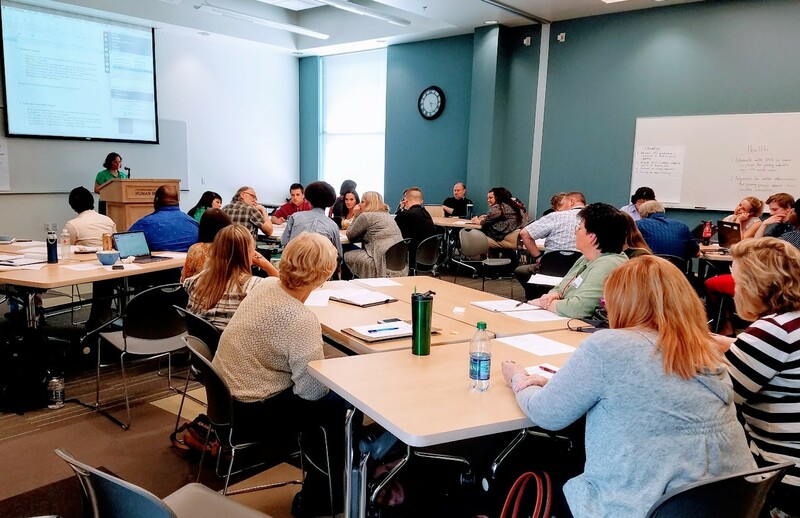 Although state legislatures will not begin considering new legislation until early next year, SchoolHouse Connection and our state policy partners have been working feverishly for months to prepare. Last week, our first bill was introduced: a higher education bill in the Texas state legislature. Proposals in other states will tackle higher education, vital documents, minor consent, credit accrual, child care, employment, and transportation. Thousands of students in the Dallas Independent School District show up to school each morning not knowing where they’ll sleep that night. Under a bill in the Texas Senate, districts wouldn’t be allowed to suspend such students if they misbehave. Students on a college campus come from diverse backgrounds. Some are athletes, others are scholars. Some are local, some travel from across the country to travel to their school. Some grew up surrounded by family, others have found themselves homeless leading into their college experience. Are you ready to get involved with policy advocacy in your state? If so, contact us for help or to join in our advocacy work in your state.